If you remember our last post about Wente, you know we’re fans and were looking to echo the success of our last bottle with another of the finest from this Livermore Valley vineyard. We anticipated sharing this one with good friends–originally from Park Slope in Brooklyn and now in Yonkers–for the Easter weekend. My wife’s dear friend is a professional chef, and this light, nearly sweet Chardonnay was intended to accompany a mushroom lasagna and other festive plans we had in mind. 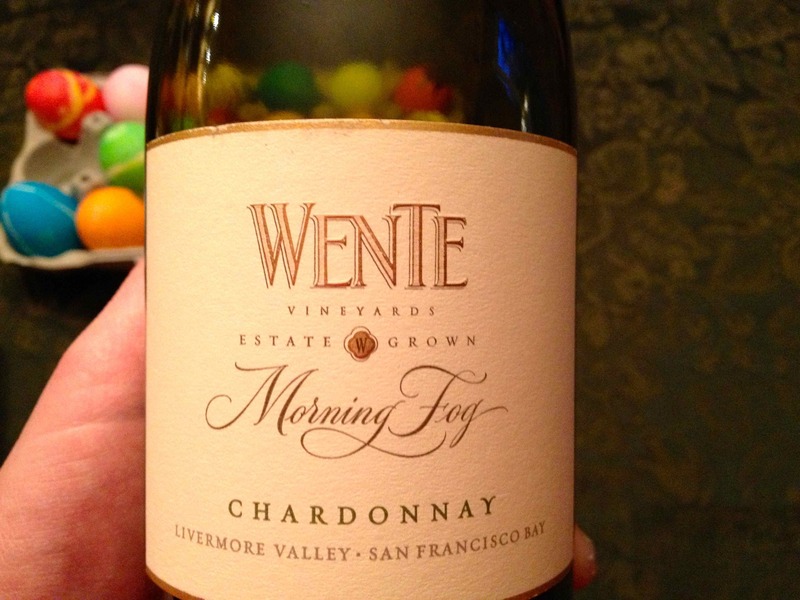 Wente Vineyards 2011 Morning Fog Chardonnay, Livermore, California, USA. Unfortunately, our plans fell through and Becca and I were left with nearly two dozen eggs to color ourselves, a pile of delicious snacks, and a Paas kit ready to go. Thankfully, we’re creative folks, and we do love our eats. Makes for a powerful combination! Anyway, we set up the kitchen table–cups for dunking, pens, crayons, and rubber bands, and this delicious white. Perfect way to celebrate Easter! You can see in the accompanying photo both our empty bottle as well as the colored treasures we created ourselves. The wine was great, the occasion sound, and the company best of all. This entry was posted in Chardonnay and tagged livermore valley, USA, wente vineyards.